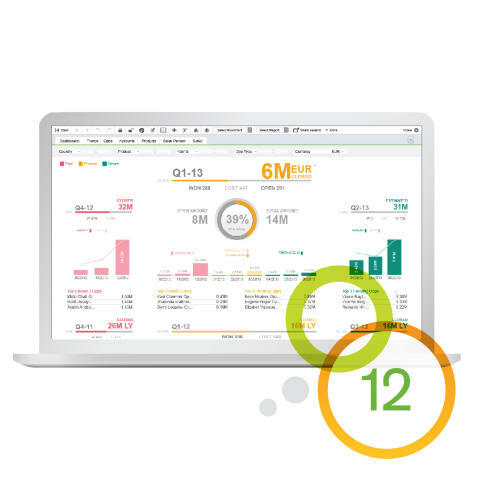 What opportunities could your business drive if the right data was surfaced at the right time and how much more efficiently could your operations perform? 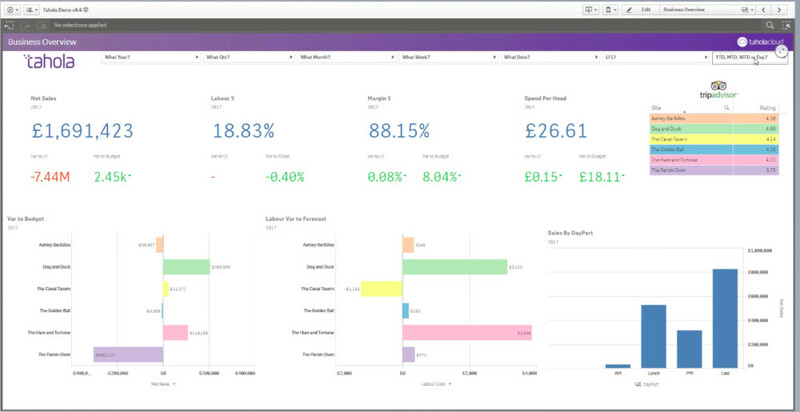 For early adopters, data is already reshaping their business, whether through new discoveries, improved products and services or better customer experiences overall, as they evolve from traditional Business Intelligence (BI) practices to more advanced analytics (predictive and prescriptive) that enable actionable insights. We know that BIG DATA does not only apply to the worlds largest organisations, it can apply to you and your business too. 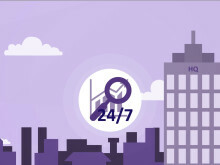 Whether you run 10 sites or 1,000 the outcome is still the same - you want access to all available data, that will allow you to make better informed decisions, resulting in increased efficiency and competitive advantage, whilst also providing insights into the performance of your business, that you could only have dreamt about before. 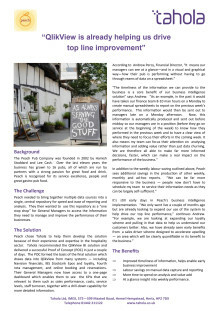 Contact us to find out more about unlocking the power of your data to improve profitability through greater insights. Peach "Tahola is already helping us drive top line improvement"
Peach needed to bring together multiple data sources into a single, central repository for speed and ease of reporting and analysis. They wanted to use the repository as a "one stop shop" for General Managers to access the information they needed to manage and improve the performance of their business. Peach chose Tahola to help them develop the solution because of our experience and expertise. 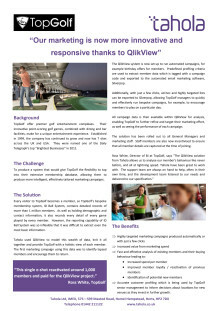 Top Golf "Our marketing is now more innovative and responsive thanks to Tahola and QlikView"
Established in 1999, TopGolf offer premier golf entertainment complexes. Tahola worked closely with TopGolf to provide a solution that would give them the flexibility to tap into their extensive membership database, allowing them to produce more intelligent, effectively tailored marketing campaigns. Liberation Group - "Investing with Tahola has helped us stay ahead of our competitors"
Following significant investment in IT infrastructure and systems. 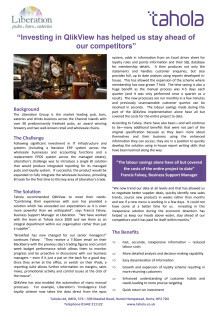 Liberations challenge was to introduce a single BI solution, that would produce integrated reporting for its managed pubs and loyalty system. Working in partnership with Tahola a solution was provided that exceeded the Groups expectations and is more powerful that than they anticipated.